You don't need to read the Constitution. It's right in the banner of this august blog. "The accused shall have the right to a speedy trial." It's kind of an important right. Otherwise the authorities can imprison you forever without a trial. You're not convicted, you're just incarcerated awaiting trial. In Prince George's County, Maryland, a speedy trial apparently means something more than a year, sometime at the convenience of the manufacturer of the automated speeding system, who is given the power to schedule the trials. Speeding Ticket Ace Will Foreman has been waiting more than a year to fight many of his automated speeding tickets in court. During the wait, the State has threatened to not register his company vehicles because he has unpaid speeding tickets. 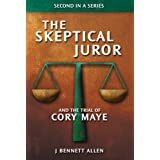 Speedy trial refers to one of the rights guaranteed by the United States Constitution to defendants in criminal proceedings. The right to a speedy trial, guaranteed by the Sixth Amendment, is intended to ensure that defendants are not subjected to unreasonably lengthy incarceration prior to a fair trail. 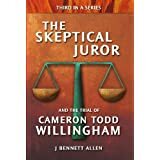 In adjudicating speedy trial claims, the Supreme Court has developed a four-part test that considers the length of the delay, the reasons for the delay, the defendant's assertion of his right to a speedy trial, and the prejudice to the defendant (Barker v. Wingo, 1972). Violations of the principle, such as where the state has failed to bring the case to trial for an "unreasonable" length of time, may be a cause for dismissal of a criminal case. In the United States, the length of time can either be defined by statute (for example, in New York, the prosecution must be "ready for trial" within six months on all felonies except murder, or the charges are dismissed by action of law without regard to the merits of the case), or determined by a court under a substantive theory based on the Sixth Amendment; which states: "In all criminal prosecutions, the accused shall enjoy the right to a speedy and public trial ..." This argument is typically made in cases in which a significant amount of time has lapsed between the date of the commission of the crime and the date of arrest. Most, if not all, statutes defining the period of speedy trial time also include various exceptions to this rule. Examples of such exceptions are periods of time in which the delay preceding the trial is due to the request of the defense, or if there is good cause. Allow me to interpret. You no longer have a right to a speedy trial. Not only will the Supreme Court not establish a firm time, the Court requires the defendant prove he was not somehow prejudiced by being incarcerated without a trial. I think the Supremes missed the point on this one. The point is not that the incarceration prejudiced one's chance for a fair trail. The point is one was in jail for a long time without being convicted of a crime. I'm unaware of anyone who has had a felony dismissed because he didn't get a speedy trial. Still, even my jaded perspective was rattled by this blog post from NMissCommentator, "A blog from the hills of North Mississippi." The Supreme Court of Mississippi has recently ruled that Virgil Johnson's right to a speedy trial was violated simply because he was incarcerated for 680 days before being given his trial. Virgil Johnson had been convicted of shooting his "friend" in the neck, and the Mississippi Supreme Court had no intention of setting him free, speedy trial be damned. From the Supreme Court decision, we sort of learn the reason for the delay. 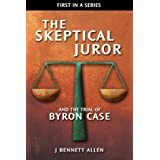 The trial court found the delay was necessary due to the backlog of cases, and noted that several, older cases were set before Johnson’s that may have caused his case to be put off until the court’s next term. Further, the State provided three trial dates from the computer system used throughout Hinds County, which showed that Johnson’s case had been set for trial three months after he was arraigned. Holy crap! Mississippi couldn't give Virgil Johnson a speedy trial because they were too busy not giving a bunch of other people a speedy trial, and because ... because ... uh, uh ... I have no idea what the second sentence meant. Instead of granting Virgil's motion to have the verdict set aside, the Mississippi Supreme Court told Virgil Johnson to count his lucky stars. It could have been worse. Other people had been in custody longer. The Mississippi Supremes even gave some numbers. Some guy named Manix was held 1,430 days without a trial. Some guy named Moffett was held for 1,656 days without a trial. It is no secret that, for the past twenty years, the Sixth-Amendment right to a speedy trial has been under attack and on life support. Although this Court’s previous decisions have suggested that—given the right set of facts—a speedy trial claim could possibly be won, today’s final, fatal blow mercifully puts the criminal-defense bar out of its misery. Whereas previous decisions have been less than clear, today’s plurality opinion is as subtle as a stick of dynamite—the Sixth-Amendment right to a speedy trial in Mississippi is dead. In previous cases, this Court at least paid lip service to a few speedy-trial maxims, such as “an eight-month delay is presumptively prejudicial” ... But today, the plurality ... makes crystal clear this Court’s position on the right to a speedy trial: the life support plug has been pulled, and the right to a speedy trial exists no more. Because I believe the Sixth-Amendment right to a speedy trial is as important to us today as it was when it was proposed by our Founding Fathers in 1789, and ratified by the people in 1791, I respectfully dissent. As it turns out, not-so-speedy trial folks in Mississippi are a bunch of pikers. I took the trouble to look up the decision in Barker v. Wingo to read about how the U.S. Supreme Court gave everyone a good talking to about violating our right to a speedy trial. Holy crap! Barker awaited his trial for more than five years, so that the State could try his accomplice first, three times. The U.S. Supremes ruled in 1972 that Barker had not been denied the right to a speedy trial. No more incandescent light bulbs. No more right to a speedy trial.